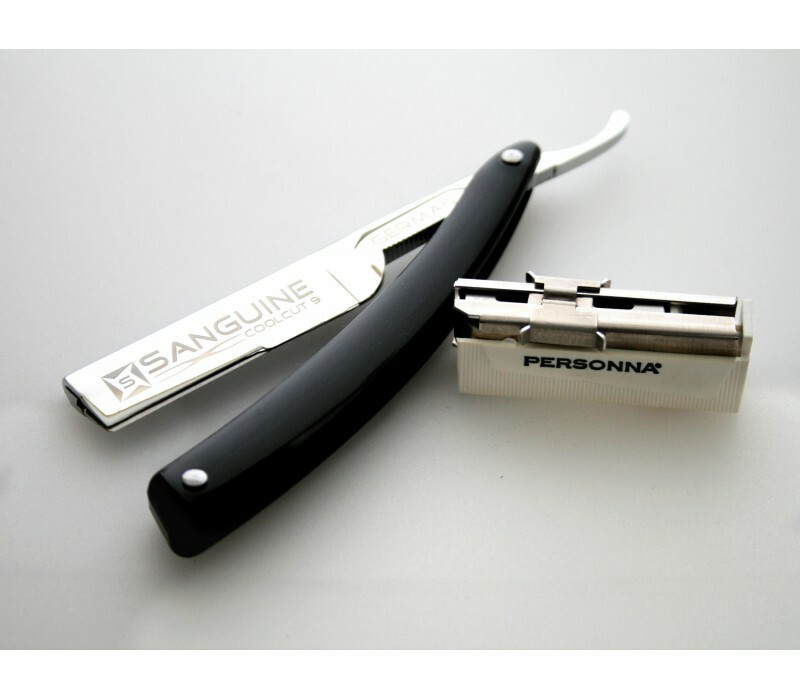 Sanguine straight cut razors are produced with performance in mind. These razors keep firm grip on blade which reduce risk of cutting skin during shaves and deliver an even smooth shaving experience. Our razors are produced with light weight materials to make their handling easier for barbers and home users. Blade holding section and handle are finely balanced to keep them from unnecessary shaking during shaves. Sanguine products are "best seller" on Amazon for the last four years in the UK. Sliding straight cut throat razor with classic plain black handle. Made with strong Japanese stainless steel which assure longevity. Firm blade holding mechanism to avoid skin cuts during shaves. Balanced screw system to adjust handle at your choice of angle. Comes with complimentary presentation and carrying case. Works with single edge half blades (any standard size). Our razors are quality assured and ready to use out of box. With right blades, gives sharp clean shave every time without damaging hair edges. Blades are sold separately / Blades not included.